“You search the scriptures because you think that in them you have eternal life; and it is they that testify on my behalf. Yet you refuse to come to me to have life” (John 5:39-40). 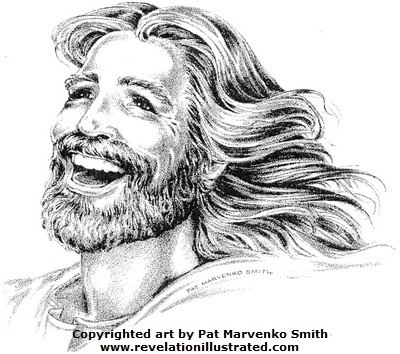 As such, if you would really come to Him, you should sidestep the endless debates about the historical Jesus or the authority of scripture and look, instead, to the living Reality that IS Christ-in-you – the only Reality in which you may fully trust and on which you may completely rely – a Reality which IS prior to and independently of that which you believe or disbelieve or otherwise think about it. “Listen! I am standing at the door, knocking; if you hear my voice and open the door, I will come in to you and eat with you, and you with me” (Revelation 3:20). As you begin to awaken to this living Reality, you can revisit the traditional teachings associated with the name of Jesus and truly understand them for the first time. I just love the project that is launched here. It invites rigorous consideration from believers, seekers, and skeptics alike. How do we go about getting to know someone who dwelt here 2000 years ago? 30-33″I can’t do a solitary thing on my own: I listen, then I decide. You can trust my decision because I’m not out to get my own way but only to carry out orders. If I were simply speaking on my own account, it would be an empty, self-serving witness. But an independent witness confirms me, the most reliable Witness of all. Furthermore, you all saw and heard John, and he gave expert and reliable testimony about me, didn’t he? 34-38″But my purpose is not to get your vote, and not to appeal to mere human testimony. I’m speaking to you this way so that you will be saved. John was a torch, blazing and bright, and you were glad enough to dance for an hour or so in his bright light. But the witness that really confirms me far exceeds John’s witness. It’s the work the Father gave me to complete. These very tasks, as I go about completing them, confirm that the Father, in fact, sent me. The Father who sent me, confirmed me. And you missed it. You never heard his voice, you never saw his appearance. There is nothing left in your memory of his Message because you do not take his Messenger seriously. 39-40″You have your heads in your Bibles constantly because you think you’ll find eternal life there. But you miss the forest for the trees. These Scriptures are all about me! And here I am, standing right before you, and you aren’t willing to receive from me the life you say you want. 41-44″I’m not interested in crowd approval. And do you know why? Because I know you and your crowds. I know that love, especially God’s love, is not on your working agenda. I came with the authority of my Father, and you either dismiss me or avoid me. If another came, acting self-important, you would welcome him with open arms. How do you expect to get anywhere with God when you spend all your time jockeying for position with each other, ranking your rivals and ignoring God? Likewise– as I share elsewhere –the gift of aware presence shines forth from the soul of every human being in the beginning with God! The upright of heart are those who, like Abraham, are justified by faith—those who trusting in and relying on Him, truly see His day. Each one of us sees (by virtue of) this light, but few recognize Him as Lord—few recognize in Him their real origin and destiny. I really appreciate the anonymity of this page, and let me express why. I think that enormous bounds of progress are swallowed up in egoic leadership driven movements. Christian since birth, it’s been a wild ride from fundamentalism to paganism to charismatic to reformed Christianity and now to some semblance of what I guess is Christian Mysticism (though as always, I am reluctant to give it a name.) There was always a leader, a name, a person that had the link I was missing to reach the Divine. The thing about this and reading things like this is that it gives me, in my own language, tools to live out the faith I’ve always been chasing without the missing links, rigid fences and boundaries of lining up with “the word” (bible) that has never contained LIFE for me. Many others find life there. I know now that that’s okay. Now that I can decipher what is the Living Word and what is that-which-points-to-the-Word (written word), I find peace with the Scriptures. Thank you. The phrase “to accomplish” signifies a relation between my action and something else that lies outside me. Now, it is easy to see that this relation does not lie in my power, and to that extent it is just as appropriate to say of the most talented person as of the humblest of men–that he accomplishes nothing. This implies no mistrust of life; on the contrary, it implies an acknowledgment of my own insignificance and a respect for the significance of every other person. The most talented person can complete his task, and so can the humblest of men. Neither of them can do more. Whether they accomplish something is not in their power; it is, however, indeed in their power to prevent themselves from doing so. So I surrender all that importance that often enough throws its weight around in life; I do my work and do not waste time calculating whether I am accomplishing anything. What I accomplish accompanies my work as my good fortune; I certainly dare to rejoice in it but do not dare attribute it entirely to myself (Either/Or,II 295). A beech tree grows, amasses its crown, and people take pleasure in sitting in its shade. If it were to become impatient, if it would say, “Scarcely any living creature ever comes to this place where I am standing; what is the use, then, of my growing, of thrusting out my branches; what am I accomplishing by doing that?” it would only retard it growth, and some day a traveler might come along and say,”If this tree had been a full-leafed beech instead of a stunted runt, I would have been able to rest in its shade.” Just imagine if the tree could hear! Thanks again for your presence! The Bible gave us the meaning of Faith in Hebrews 11:1, “Now faith is the substance of things hoped for and evidence of things not seem,” which tells us we are to find substance and evidence for things unseen. On the other hand, belief only require yo to hear something and accept it as true rather than doing anything to prove the possibility of it. A prime example of belief is what we believe Jesus to have been saying when he said “my god, my god, why hath thou forsaken me” while on the cross. how many people have rezoned with his words concerning his relationship with god. Here are some of his saying concerning it. What does those statements tell us about what Jesus saw while on the cross? He was saying to love god is to love one’s self and love everyone the same, giving everyone faith or the knowledge of where to find substance and evidence as to how they can recognize as god.